My pregnancy months have passed not really in the blink of an eye but time indeed flies, and my baby's arrival is now just few weeks away! That means it's about time to start washing her clothes, blankets, towels, napkins, pillow sheets and other washable items that will come in contact with her delicate skin; and pack my hospital bag too to avoid rushing around for last minute preparations. With my husband's help, I have started reorganizing our bedroom on last Sunday morning to give space for the baby's truckload stuff. It was sure thing a lot of work to do but I am glad we finally had that part done. On that same morning, I have also washed the first batch of my baby's clothing. All this while, I have shopped, shopped and shopped a lot of baby's items and now, her stuff that I need to (machine and hand) wash are mountain high. My trick for washing her clothing and other essentials is to do it slowly by batches as I still have few weeks' time to complete this task anyway. So yes, I am taking my sweet time in preparing my baby's arrival. Drying the first batch of my baby's washed blankets and towels. On another note, I have done my reading on tips for packing for the hospital bag from many internet sources. I have also sought several good friends' advice too on what to pack in my hospital bag. Although I have not quite started packing my hospital bag just yet but I aim to finalize it by the time I am about 36 weeks pregnant. Since my husband is a really organized person and knowing his habit in creating a list on what to pack or buy before we shop or go somewhere so we won't miss anything out - I created a check-list for packing a bag full of the stuff that I'd need during my labour and after-labour based on my internet reading and conversations with my friends who had given birth before. Basically, I just listed those items that I think are really must-haves for me, my husband (who is likely going to spend a long time in the hospital too) and our baby. 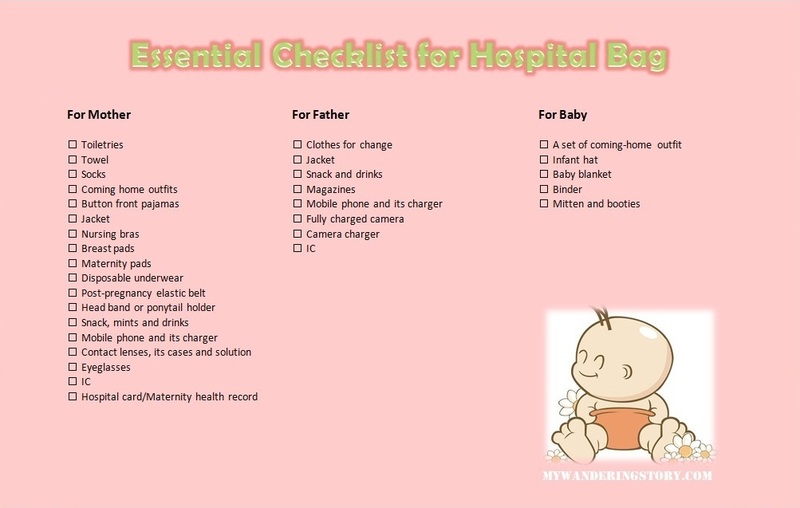 Taking into account that I'd be staying the hospital for 2D1N (normal birth), here's my version of Essential Check-list for Hospital Bag which may be useful for some of you too. If say, at the end of the day, I would have to go through C-section and need to stay longer in the hospital, I would require my husband's help to go home and bring extra clothes for me. 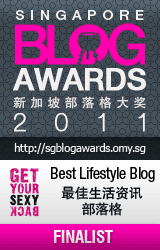 Click on the picture to get a better view of this check-list. Guess what, most of the check-lists for hospital bag in the internet don't really mention packing jackets for the mother and father-to-be. However, after I spent a full week in the hospital taking care of my husband when he contracted Dengue fever, I learned my lesson of the importance of jackets when we are in the hospital. Hospitals can be freezing cold for both patients and the visitors who look after them. Thus, don't forget to bring jackets to warm up, especially if you know you'd be spending long hours there. Also, I didn't include a detailed birth plan to pack in the hospital bag because at the moment I don't have any. 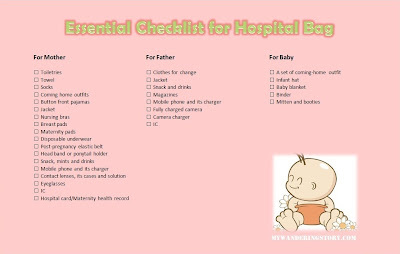 Finally, considering that we'd go straight home after being discharged from the hospital post delivery and our house isn't that far away from the hospital; I didn't include baby essentials such as extra diaper, wipes, diaper bag, milk bottles etc. in the above check list either. P/S: Are we friends on Facebook yet? It'd be great if you can LIKE my blog's Facebook page so I can share with you my blog updates and other random thoughts or pictures that I think are cute, hilarious or inspiring. Oh all the fun of preparing for baby! These were amazing days for me, but it was also many years ago. Enjoy every moment! It's going to fun time with the baby, but it's also going to be very tiring. Get all the sleep you can now. Yes indeed. I am trying to get as much sleep as I can now. I know I'd miss that so much when the baby arrives. So close! These last few weeks really will fly by and it won't be long before you're saying hello to your little girl face-to-face. Haha, actually I don't remember much what I packed when I was about to delivered my baby more than 7 months ago either. Pregnancy Week 35 and 3 Days: Not Much Room Now!